Some of you maybe feeling it…there is a shift, a direction change, a turning of the wheel occurring. 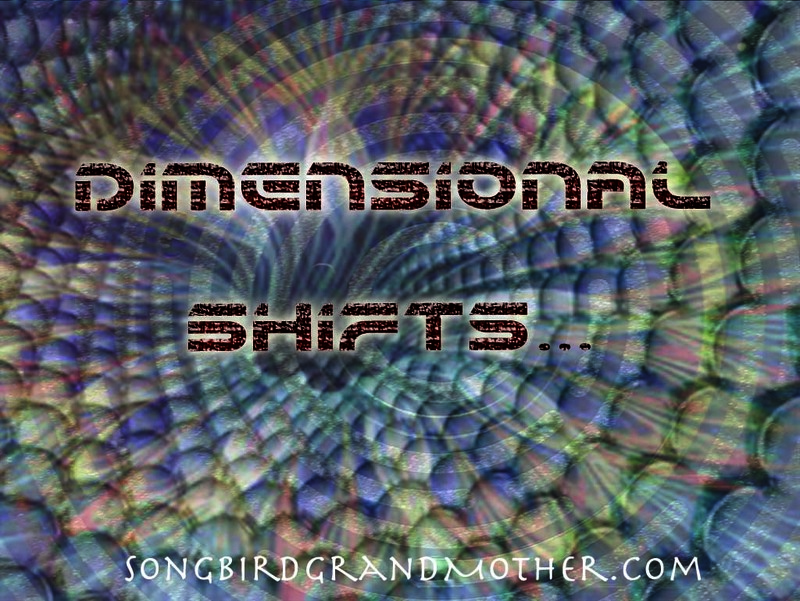 It’s a subtle shift, not a woo-woo new age concept, or a rapture end of Earth scenario, but a soft humming of new vibrations and sounds. All the old is leaving as we go through this shift; and flavors, sounds, and vibrations of life are slowly but surely shifting and changing. The 5th dimension, Age of Aquarius, New Earth, Ascension whatever your name flavor, it’s happening, and it’s great news for everyone. For those unattached, open, ready, and available to receive it’s time to align to the lightest of the light, and COMPLETELY absolve the darkness within. The shadow parts of life are completely gone. The remnants of the imprints, the sticky parts, the cob-webs too are gone. All that remains is the gentle whisper of the hummm…that says “I’m ready for my transformation. I AM READY FOR MY LIFE ASSIGNMENT.” As that alignment occurs, life as you know it will transform radically and completely. As each person accepts their “life assignment” graciously, openly, and with love very quickly, but surely, life will ascend. The old “web” that you were caught in, is now torn down and is being rebuilt with new materials, structures, and primordial life. The ancient DNA is awakening within those who are open, and as this new information pours in and through, it’s time to lift the energies, and walk through the door to the NEW fully awakened fire blazing within the heart. For those reading this, take heed to the message and “go inward to go outward.” Fully anchor yourself on the ground of the new that you are building, and allow the winds to guide your sails to your next portal. During this transition into the Lions Gate, the past is gone….all of it. Everything of your past is over…the old ideas, thoughts, emotions, stories, and truths will not make it to the next destination. No matter how this message finds you, or where, if you are called to read this, this message is for you, channeled in from your Grand Mother-creator, sustainer, and lover of all life here, there, and everywhere-our primordial Mother who weaves the web of creation, and is weaving all life right now helping you with this ascension process. You are loved by the Grand Mother more than you will ever know, and as you open to receive this message, know that this love is now streaming through you activating this transition process. Welcome to the new time here on planet Earth! Time to get loving your new life!